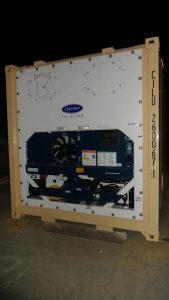 known as refrigerated shipping containers, they have a range of -25C to +25C, giving the client perfect conditions for both refrigeration and for items that need a certain ambient environment. Our refrigerated shipping containers have been specifically chosen by our team of experts which are mostly environmentally friendly units on the market. Available in 10′, 20′ and 40′ – standard or high cube sizes, these containers have a temperature range of -20°C to 20°C. 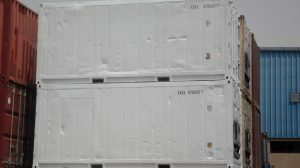 Pearltainer FZE Containers stocks both new and used refrigerated shipping containers for sale at our Sharjah and Mumbai depot.